This section provides an overview of the anthologies in which Catherine Phil MacCarthy’s works appear. Edited by Manuela Palacios, Salmon Poetry, Co Clare, Ireland, 2017. — Anne Fogarty,�University College Dublin; link to publication on Salmon Poetry web site. and published by New Island Books 2016. 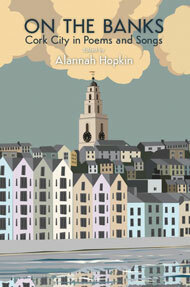 Edited by poet, Eva Bourke, and writer/broadcaster, Vincent Woods, and published by Artisan House. Traduits et sélectionnés par Clíona Ní Ríordaín et Paul Bensimon. 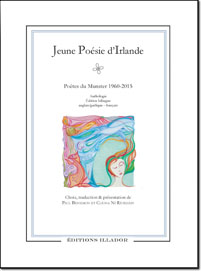 Ce livre embrasse toute la création poétique actuelle du sud de l’Irlande. Au total, le lecteur pourra découvrir vingt-six poètes en version bilingue. Plus qu’une anthologie, cette composition est une invitation à un voyage de découverte de l’île, à la célébration d’une culture dont la poésie est le vecteur identitaire. ‘L’Irlande est entrée dans l’Union européenne il y a quarante ans. Pour commémorer cet immense événement, une anthologie de poésie est l’une des formes de célébration les plus vivantes et les plus fortes qui soit. Supported by: Centre Culturel Irlandais, Ireland Literature Exchange and Culture Ireland. In this special publication, poets Eavan Boland, Paul Durcan, Peter Sirr, Peter Fallon, Brendan Kenneally, Theo Dorgan, Seamus Heaney, Eiléan Ní Chuilleanáin, Michael Longley, Tony Curtis, Anthony Cronin, Michael Coady, Gabriel Fitzmaurice, Macdara Woods, Pauline Fayne, Pat Boran, Carol Rumens and Paula Meehan amongst many others, pay tribute to him. 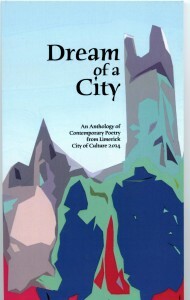 An exciting range of poems, essays and short stories by over 100 contemporary poets and authors, alumni of the Clifden Arts Festival for over 35 years and supported by Clifden Community School. Contributors include: Colm Tóibín, Claire Keegan, Joseph O’Connor, Paula Meehan, John Montague, Alex Barclay, Colum McCann, Sinéad Morrissey, Kevin Barry, Nuala Ní Dhomhnaill, Brendan Kennelly, Thomas Kinsella, Christine Dwyer Hickey, Paul Durcan, and many many more). Opening Eyes: A Poetry Collection Edited by Jo Phillips. Opening eyes is an inspiring poetry collection that covers broad-ranging themes, spans different cultures and centuries, and includes a wide range of poetic styles, employed by both celebrated and lesser-known poets. The poems are arranged in five themed sections, including Opening eyes (exploring sight and the way we see things), and Ebb and flow (listening to the rhythms of the sea, of history and of life itself). 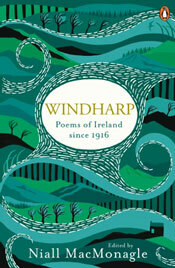 The collection includes poems by William Blake, Eiléan Ní Chuilleanáin, A.E. Housman, Philip Larkin, Jean Sprackland and Benjamin Zephaniah. 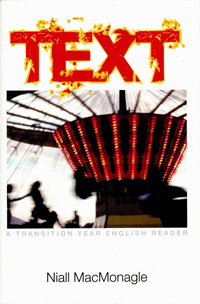 TEXT is a wide-ranging, challenging and stimulating anthology for Transition Year. It includes poetry, short stories, drama, oratory and rhetoric, letters, diaries, language, cultural commentary, vocabulary, quotations, strategies and exercises. The Celtic Press, Dublin 8 (2009). Three years in the making, and with over 250 contributors, this generous selection of poetry by women with an emphasis on twentieth-century poetry in English features poets from the USA, Canada, England, Ireland, Scotland, Wales, Australia, and New Zealand. Salmon: A Journey in Poetry 1981–2007 celebrates 26 years of innovative and exciting Irish and international poetry. The organisation of the volume is simple: two poems from the poet’s Salmon collection (or collections) and one uncollected poem. Detailed biographical notes for each poet, and a complete bibliography of Salmon’s publications, are also included. Specifically for Junior Certificate Course. This Textbook covers a wide range of poems. Questions are designed to focus students on specific issues and to encourage students to analyse and explain their opinions. Includes examination guidelines. Approaches to answering past examination questions on both studied and unseen poetry. 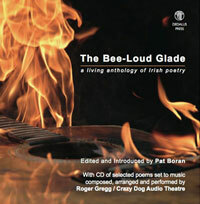 Published by The Educational Company of Ireland (2006). Through the years, many great poets have penned odes to the bicycle or to the experience of riding free on this elegant machine. Now Justin Belmont gathers them all in one splendid, authoritative collection. He selects not only the best of 100 years of bicycle poetry, but also dozens of new bicycle poems published here for the first time. Includes work by Stan Rice, C.K. Williams, James Laughlin, Bruce Weigl, Yevgeny Yevtushenko and Rita Dove. With bicycle line drawings and photos throughout, this will make a lovely gift for all bicycle-lovers. Justin Belmont is a former editor of Bicycling Magazine. He is a lifelong writer, poet, scholar and cyclist. 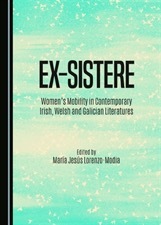 Máirín Ní Dhonnchadha, Margaret MacCurtain, Siobhán Kilfeather, Angela Bourke, Maria Luddy, Mary O’Dowd, Gerardine Meaney, Clair Wills. The White Page/An Bhileog Bhán is a comprehensive study of Irish women’s poetry published in book form in the twentieth century. It takes the form of an extended annotated directory, including biographical and bibliographical detail on each poet. An important celebratory collection of Irish poetry by graduates of University College, Cork writing in both English and Irish, which groups together poets of international standing in a single volume, Paul Durcan, Eileain Ní Chuilleanain and Michael Davitt. 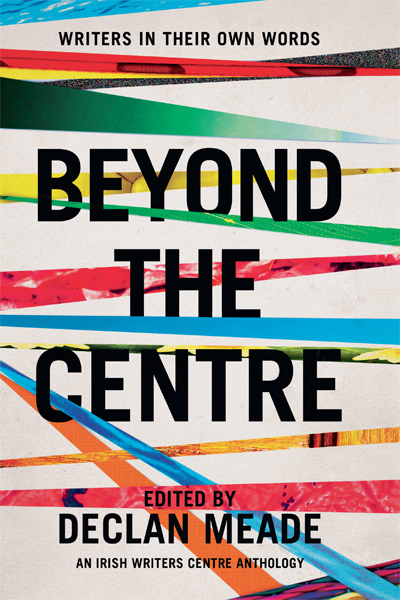 Edited by Greg Delanty and Nuala Ní Dhomhnaill, with a Preface by Philip O’Leary.